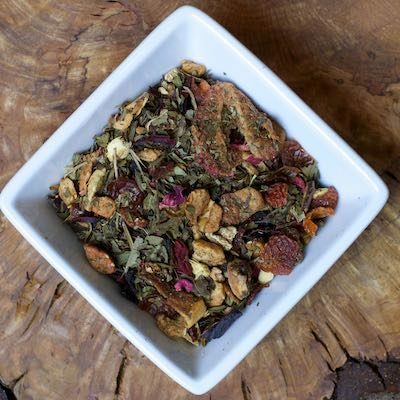 Green leaves, pink strawberries, rose hips, lemon myrtle and other botanicals give this tea a fruity, sweet and spicy character. Wonderful hot or iced. No caffeine.